Is dehydrated food nutritious? There are studies that prove the efficacy of drying foods as well as its disadvantages. Dehydration is the process of drying foods to preserve them and make them last longer compared to when they are fresh. It is known that water is eliminated in dehydrated food that’s why you will notice that all dehydrated foods are overly dry. A lot of people eat these foods because they are more convenient to bring outdoors, as there is no risk of liquid spillage. In this day and age, more and more people have become so busy that they no longer have time to prepare their food before leaving the house. And one of the solutions they resort to is to dehydrate foods either by themselves ahead of time or buy already dehydrated foods to go. 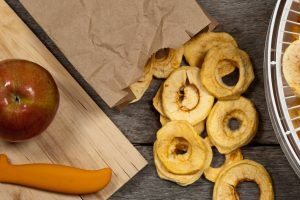 Before you start dehydrating your favorite fruits, vegetables, and other foods, here are some questions that you need to ask to fully understand how it works. Different types of food contain multiple nutrients, vitamins, and minerals. When they are dehydrated, a percentage of their nutritional value is lost in the process, but you can be sure that not all the nutritional content is lost. They still have the nutrients you need to keep your body healthy and nourished, albeit being a lot less. Moreover, dehydration prevents bacterial growth. These bacteria rely on the water content of the food to survive. So if a food is devoid of water content, they have no source of nutrition in order to thrive. Are Nutrients Lost Due to Dehydrating Foods? Dehydration is a process that uses air. And in the dehydration process, some Vitamin C content is lost, as it is not air soluble. Furthermore, leaving a vitamin C-rich food exposed for too long will lose its nutritional value. On the other hand, beta-carotene is an antioxidant and is important for the body to absorb. Dehydrating does not lose this nutrient. Some foods containing beta-carotene such as carrots are sensitive to light, so it is important to remember to keep them in a dark place to retain the nutrient not eliminated by dehydration. Furthermore, minerals are not rid of in the process of dehydration. Magnesium, selenium, and potassium are some of the minerals that remain unchanged. How Can Nutrient Loss Be Minimized? Sodium metabisulfite is a sulfite treatment employed in dehydrating foods to lessen the loss of certain vitamins, such as vitamins A and vitamin C. But this treatment, however, will result in the reduction of the riboflavin and thiamine content of the food. What Then Is the Best Dehydrating Process with the Least Nutrient Loss? 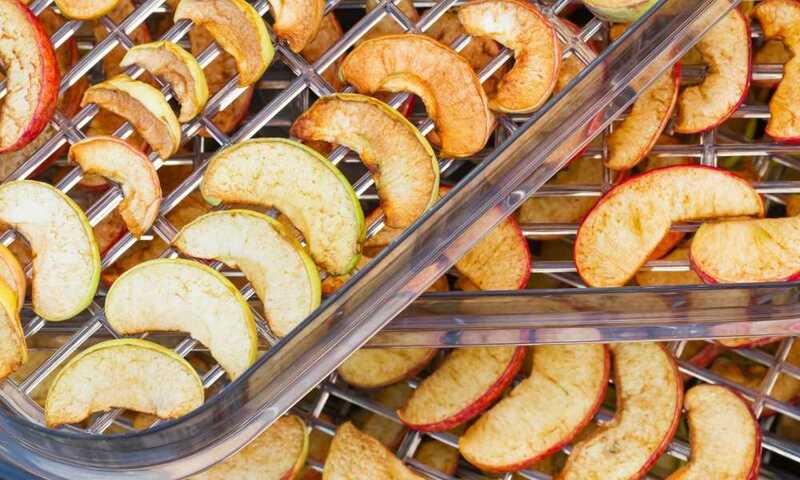 The best method you can employ in dehydrating your favorite foods is the freeze-drying process. This process uses a lower temperature, which limits the loss of important nutrients. Using this process will also allow you to successfully rehydrate them. A study has also proven that vitamin C is not diminished as well as beta-carotene in fruits when employing this method. The use of a dehydrator results in more nutrient loss as it uses a higher temperature to dry foods. How Is Dehydrated Food Stored? Dehydrated foods must be stored properly to prolong their shelf life, and to prevent further nutrient loss due to improper storage. Dehydration is also not the first and last stage of the process. After the food is dehydrated you need to prepare it for packaging, and packing it requires that it is fully dried to prevent bacterial and mold growth. After the food is cooled, a nonporous container should be used to store them up to a couple of weeks. If you notice that there is moisture inside the container, it means that the food has to be dehydrated further, either by putting it in the oven or using a dehydrator. When you are sure that there is no more water content, you are then ready for packaging. Use an airtight container for storing completely dehydrated foods. The best condition to store them in is a dry, cool and dark place. This will prevent further nutrient loss. Additionally, temperatures lower than 60 degrees Fahrenheit are the best storage condition, as foods can last up to a year. However, if the temperature exceeds 80 degrees Fahrenheit, they will only last up to several months. Can Dehydrated Food Be Rehydrated? Absolutely. Take note though that you will need twice the amount of water as the amount of food you are rehydrating. When rehydrating foods using this rule, observe if the food you are rehydrating has already used up the water but is still hard. If this happens, you need to add more water until it softens. The right water temperature is required depending on the use of the rehydrated food. If you are going to cook the rehydrated food, then use warm water for the process. But if it will only be added to an already cooked food, then cold water should be used. Soak for 20 minutes up to an hour and a half, depending on the type of food. It should grow up to four times the dehydrated size. One tip to quick rehydration that experienced users swear by is to cut them up into small pieces. 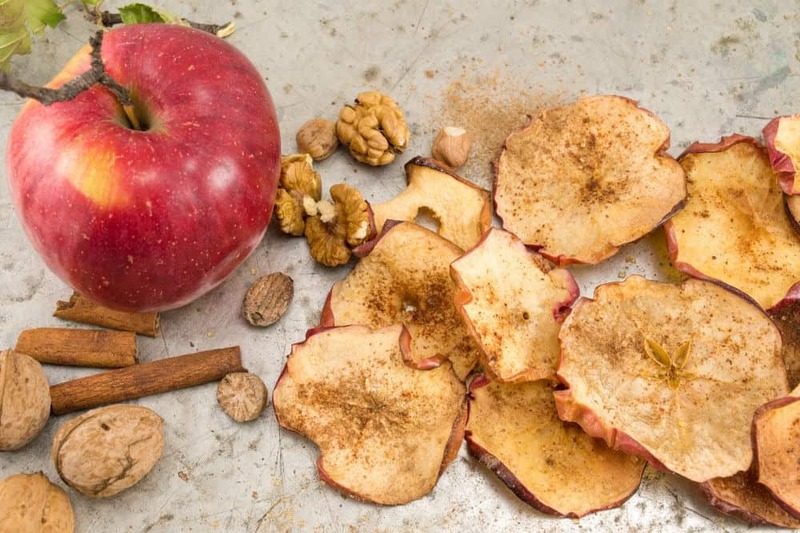 What Foods are Safe to Dehydrate? Fruits and vegetables, as well as meat that will be made into jerky, can be dehydrated. However, please note that meat must be precooked to prevent bacteria from inhabiting as well as food-borne diseases from forming. Other foods such as bagels and biscuits can be dehydrated, as well as pre-cooked foods to save on storage space, especially those brought on outdoor trips. So is dehydrated food nutritious? Yes, dehydrated food is still nutritious as dehydrating them does not fully take away the nutrients that it has. The process of dehydration, when done correctly, that is, under the right temperature and sufficient period for drying, will produce foods that have the same beneficial effects as fresh food, only with a little less nutritional content.